Invoking the Federal Energy Regulatory Commission in Texas is a good way to prompt a reaction, especially when discussing the state's main power grid. "You just need to be aware that FERC is a four-letter dirty word around here," Craven Crowell, chairman of the Electric Reliability Council of Texas, quipped at ERCOT's last board meeting. Crowell's remarks to a visiting presenter were in jest, but the sentiment is both real and relevant. State regulators, not FERC, carry the primary responsibility for overseeing the ERCOT region. That setup gives Texas a measure of control it cherishes — and worries it could lose. DeAnn Walker, chairwoman of the Public Utility Commission of Texas (PUC), sounded the alarm in a Nov. 16 memo describing concerns associated with ties between the United States and Mexico. Now the PUC and ERCOT are mulling jurisdictional questions, with power companies also involved. During a PUC meeting this month, Walker mentioned talks with utilities and a need for Texas to be proactive in seeking a solution. "I've tried to stress to them how seriously I take this," she said. "I'm very, very concerned about it." 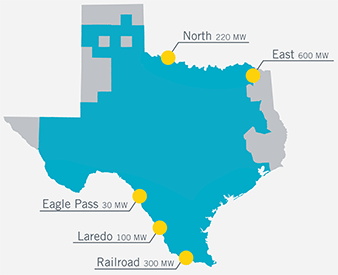 ERCOT has five notable connections to other grids totaling about 1,250 megawatts, including three to Mexico that comprise over 400 MW. Two existing ties to locations in the United States already have FERC's blessing, but new questions are surfacing about the connections to Mexico. That's because developments outside Texas could create the potential to commingle power with other states through Mexico's national grid. For example, Nogales Transmission LLC, an indirect subsidiary of Hunt Power LP, is involved in a proposed transmission line to interconnect the grid between Arizona and Mexico. At the same time, Mexico could move ahead with interconnecting its national grid with a Baja California, Mexico, transmission system that is already connected to Southern California. Texas leaders are proud of the ERCOT region, which features a competitive wholesale power market and certain areas with both retail competition and regulated wires coverage. Commissioner Brandy Marty Marquez of the PUC called ERCOT's independence a source of pride that helps the market work. "We have to explore every opportunity to preserve and protect our jurisdiction," Marquez said. FERC staff wasn't available to comment to E&E News on the outlook for ERCOT, but Walker's memo indicated that the federal commission's staff had contacted PUC staff to discuss the Nogales proposal and what it could mean in terms of jurisdiction. Several companies mentioned by Walker as being part of talks — including CenterPoint Energy Inc., Oncor Electric Delivery Co. and Sharyland Utilities LP — didn't provide a comment to E&E News on the FERC-ERCOT question. Nogales also didn't comment. A unit of American Electric Power Co. (AEP) did offer a statement on the Walker memo. "We share the concerns voiced by the chairman in her memo and we support her efforts to seek a resolution to those concerns," said Larry Jones, a spokesman for AEP Texas, which owns two of the three notable connections between ERCOT and Mexico. "We are actively engaged in discussions with commission staff and other parties to work through this issue." Walker's memo outlined how the ERCOT grid is both confined to Texas and not synchronously interconnected to the rest of the U.S. power system. The result, the chairwoman said, is that transmission of power within ERCOT's region generally isn't subject to FERC's jurisdiction. But federal jurisdiction could be established, Walker said, via the Commerce Clause of the U.S. Constitution if there's "commingling of power" between the rest of the country and ERCOT. 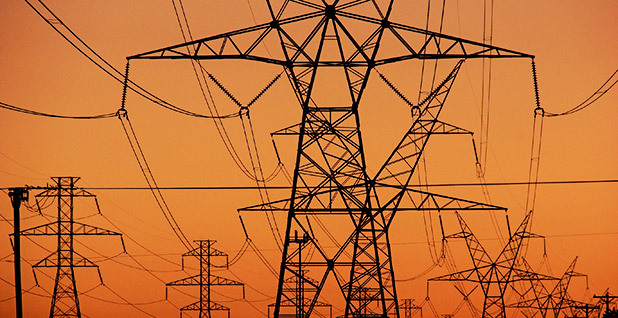 Walker said a market participant can request a declaratory order from FERC saying a proposed connection wouldn't change ERCOT's jurisdictional status. Other factors that can come into play for projects involving power crossing an international border, she said, include a presidential permit from the Department of Energy and possibly an order of export authority. In a statement, ERCOT said the PUC had asked it "to review existing and proposed connections to the Mexican national power grid in order to evaluate whether they create the possibility" of FERC jurisdiction over the ERCOT power market. "As new connections and conditions develop that have the potential to impact ERCOT's jurisdictional status," the grid operator said, "ERCOT and PUC staff are evaluating these concerns to determine what, if any, action might be needed to protect the PUC's jurisdiction over the electric grid and market serving most of Texas." In looking at the Nogales situation, Walker suggested parties get assurance from FERC before Nogales gets a presidential permit. Nogales has requested a DOE delay in processing its permit application. And a letter indicated that Sharyland would seek an order from FERC saying the project wouldn't give rise to federal commission jurisdiction over ERCOT. David Spence, a professor of energy law at the University of Texas, Austin, said there have been negotiated truces over past issues. "FERC doesn't want to agree to the principle that they lack jurisdiction over ERCOT when these connections happen, but they also seem OK" with approving some connections across the border, Spence said. He called the current outlook a quandary. "I think it could easily trigger a claim of jurisdiction," he said. What outside observers can't know is how FERC will view changes outside Texas. Are commissioners really interested in dipping into Texas' main power region, given their full plate of work? Can parties in Texas successfully argue that certain projects shouldn't change the jurisdictional status quo? Or might existing connections between Texas and Mexico be in jeopardy at some point? Texas' current regulatory situation is enviable in part because the state can maintain a sense of control over its electric destiny. One example is the roughly $7 billion CREZ program — named for competitive renewable energy zones — which opened the door to an expansion of both transmission infrastructure and wind energy. East of Texas, Chairman Eric Skrmetta of the Louisiana Public Service Commission (PSC) said at a recent meeting that his state should consider the idea of its own transmission organization. That sort of change may be unlikely because key utilities in Louisiana are part of the Midcontinent Independent System Operator's South Region. Interest in a new option appears to be related to worries associated with a proposal that DOE sent to FERC about possible aid for coal and nuclear plants. Skrmetta wasn't necessarily seeking aggressive action by Louisiana, but he expressed a desire to look at ways to avoid being subject to a proposal from DOE. Skrmetta asked the PSC staff to look at how Louisiana could act to have a "transmission organization for the state where we would no longer be a participant in any other" regional transmission organization. Kent Fonvielle, executive director of MISO South external affairs, described a recognition of benefits in Louisiana from having MISO members. He said he expects a positive outcome in Louisiana, hoping for support of continued inclusion of utilities in the South Region. Still, some change is possible for portions of Texas and Louisiana in MISO's southern footprint. The Texas PUC has, for example, sought the creation of a separate zone for market-efficiency project (MEP) cost allocation for the parts of Texas in MISO's region. The idea, the PUC said, is to enable a better alignment of costs and benefits related to MEPs and a more granular estimation on benefits of transmission projects. In the memo on Mexico, meanwhile, Walker made clear that she's not concerned just about solving the ERCOT jurisdictional question over the Nogales proposal. She noted the potential impact of connecting Baja California with the rest of Mexico. "Therefore, I believe that the Commission and the affected utilities must find a solution that addresses the current and future connections between ERCOT and Mexico," Walker wrote, "in order to ensure the continued separation of jurisdiction between the State of Texas and FERC." Ed Hirs, an energy economist with the University of Houston, said it's good to see the PUC trying to address jurisdictional concerns. ERCOT has a full plate itself, including having to deal with planned coal plant retirements. "We have our own issues to worry about," Hirs said. "Subjecting our market to FERC oversight would bring," he said, an "entirely different level of approvals and red tape."